Congratulations to the Belters who took on Dundee’s Silvery Tayzers, in Dundee and won 240-199. This was almost bang on the predicted score for this game, so the Belters will move neither up nor down as a result of this match. It was hard fought game, thanks for having us Dundee and we look forward to the rematch! 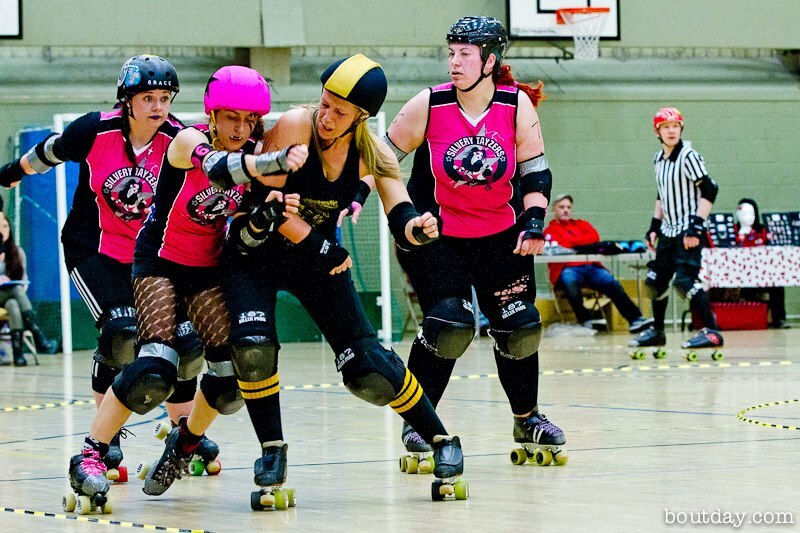 Previous PostBadger’s Bout Breakdown – Mad Smacks 30/03/2013Next PostBelters play and win first international bouts… back to back!